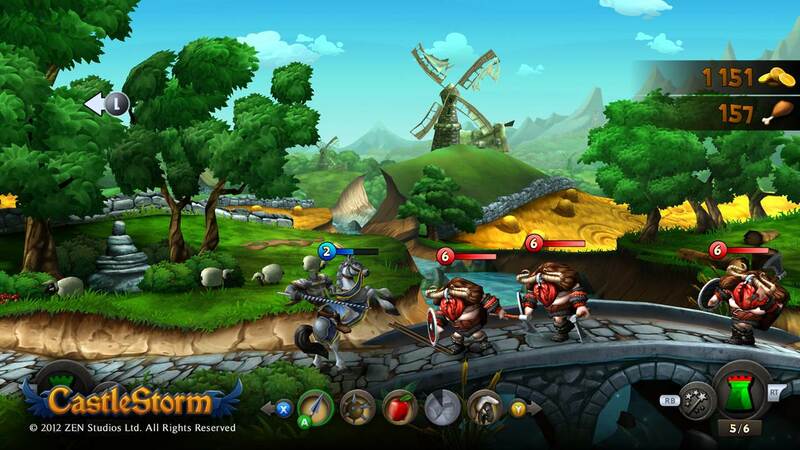 Zen Studios has released a new “Song” trailer for their upcoming Xbox Live Arcade title, CastleStorm. The trailer shows plenty of gameplay, showing off how the game will run, and showing many of its features, including online play, co-0p castle customization, and much more. It’s basically a karaoke trailer, and the lyrics which are to be sung are also given in the video. They don’t make a lot of sense, but who really cares. Zen Studios have also opened a competition on this. Whoever sings and records to best karaoke to this video and sends it to them till November 16 will win the competition. The winner will get “some sweet Zen Studios Slippers” and a few codes when the game releases for Xbox Live. They’d also appreciate it if you spent a lot of money and bought a Vikings or a knights’ outfit and wore it while you sang. Remember, contest is open till November 16th.